LuLulemon is an international athleisure wear company. It specializes in yoga, run and training clothing and other workout accessories. It was founded in 1998 by Chip Wilson in Vancouver, Canada. It operates around the world with international sales soaring and 411 stores in the United States, Canada, Australia, the United Kingdom, New Zealand, Singapore, China, South Korea, Germany, Switzerland, Puerto Rico and Japan. Lululemon plans to reach $1 billion in international sales by 2020. Lululemon (LULU) stock prices continue to increase, reaching 116.87 at the end of July. One reason Lululemon continues to see high share prices is their e-commerce presence. Their e-commerce revenue accounts for over 34% of total revenue. International revenues climbed by 53%, and impressively increased over 100% in Asia. Lululemon’s NASDAQ growth in Asia will likely be essential based on fierce competition from Nike, Adidas and Under Armour (nasdaq.com). In August a new CEO will come along to help take Lululemon to the next level. Calvin McDonald will join Lululemon after many successful years as an executive at Sephora. One of McDonald’s top priorities is international expansion . He was an integral part in expanding Sephora into Brazil and Mexico. 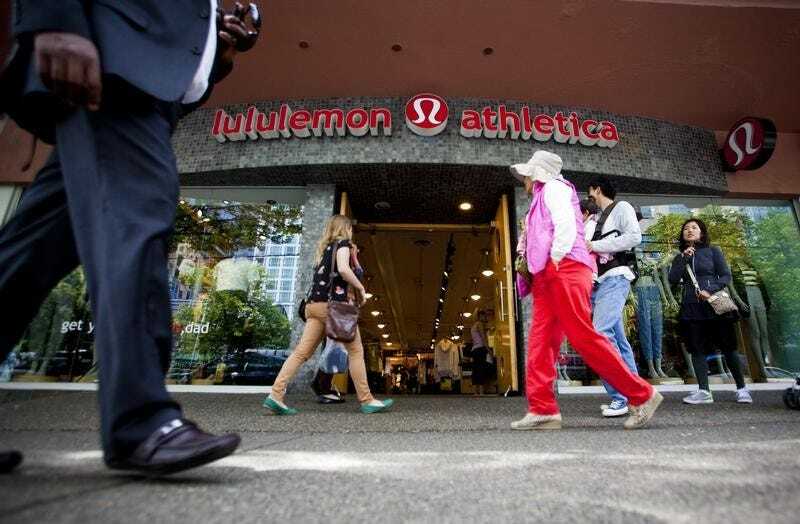 Lululemon also hired a new CFO in April. Patrick Guido will help lead the financial ventures for Lululemon. Hopefully he will be able to keep up the financial momentum they are currently experiencing. In their third quarter, Lulu’s Asian sales doubled, while in Europe they were up 40%. The online sales in China are expected to grow by 40%-50% by 2020. Even further into the future, Lulu would like to see total sales reach $4 billion, with $1 billion of that coming from international sales. These goals are certainly attainable because of Lululemon’s recognizable brand. Fortune magazine believes Lulu has an exciting future ahead, reporting that “the initiatives that Lululemon [has set] are more bullish about include expanding abroad, especially in Asia and Europe, an expanding e-commerce business and the opportunity to sell more gear to men (only 20% of sales today are derived from men’s gear).” These key factors will help Lulu gain international market share and more recognition.